Cathy Cochran represents clients in both civil and criminal cases and has extensive experience with both. 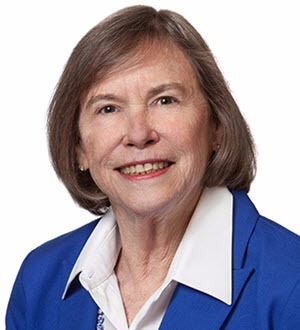 While serving as a judge for 14 years on the Texas Court of Criminal Appeals, she was regarded as one of the most influential and consequential Texas jurists whose legal opinions led to a fairer system of justice. She has a level of experience and legal insight that can serve any client in any circumstance, including appellate work. Ms. Cochran's first job was in the Harris County District Attorney’s office, trying felonies and misdemeanors before juries. She then discovered a great love for arguing the finer points of a case on paper, handling appeals. She wrote more than 200 felony appellate briefs, including an amicus brief to the U.S. Supreme Court. She loves to debate important ideas when it comes to justice. Ms. Cochran has represented some of the highest-profile names in Texas judicial history. While in the DA's office in Houston, she directed the state’s response to the appeal filed by convicted murderer Karla Faye Tucker, whose death row case drew extensive national media attention. Ms. Cochran worked with Rusty Hardin in the DA's office and then joined him when he launched Rusty Hardin & Associates. She served on the Hardin defense team that won an acquittal for Houston Oilers quarterback Warren Moon, who was charged with domestic violence. While working as an attorney, Ms. Cochran continued to learn and to teach others. As an adjunct and visiting professor over the years at the University of Houston Law Center, she was repeatedly voted Professor of the Year. After serving on a criminal justice task force for Gov. George W. Bush, she was asked to join his criminal justice policy team. Later, he appointed her to the Board of Directors of the Texas Youth Commission, which operated juvenile corrections facilities. Ms. Cochran returned to Rusty Hardin & Associates after her stint with Gov. Bush, but it didn’t last long. Gov. Rick Perry appointed her to the Texas Court of Criminal Appeals in 2001. Then she was elected to a six-year term the following year, and again in 2008.In 2015, she rejoined Hardin & Associates.